A hybrid between a cruiser and a comfort bike, Galaxy 24 is a compact, easy-to-ride, highly maneuverable electric bike. With its 24” wheels, deep step-through frame, and wider tires, this bike fits riders of virtually any height or skill level. Sharing the same components as the rest of the Galaxy family, the Galaxy 24 is equipped with a factory-sealed, gearless transmission and a zero-maintenance Gates belt drive for a worry-free and enjoyable riding experience. The Galaxy 24 Fully Loaded model comes with a highly efficient 350W mid-drive motor and an EVELO exclusive MotionDrive™ drivetrain with a fully automatic NuVinci® transmission. This model also features the maintenance-free Gates Belt Drive, a powerful 13Ah battery with a range of 50 miles on a single charge and hydraulic brakes for maximum stopping power. 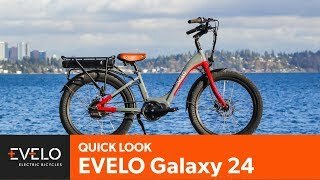 Evelo Galaxy 24 is one of the more approachable, powerful, and dynamic cruiser style electric bikes I have seen that comes in a smaller size for petite riders. EVELO has partnered with Velofix to bring you unparalleled white-glove assembly and delivery service. With Velofix, your new EVELO will be professionally assembled by a certified bike mechanic and delivered to your home or office. A Velofix representative will even show you how to use your new ebike and ensure the right fit. A $149 flat fee applies. Not available in all areas. 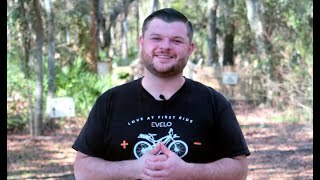 EVELO MotionDrive™ is an exclusive electric bike drivetrain technology that brings together the efficiency of a mid-drive motor with the convenience of an internal hub transmission. The result is a highly-efficient, low-maintenance, and powerful drivetrain that is easy to use and can adjust to your unique needs. Gates Carbon Drive™ is the latest in bike drive system technology, replacing the traditional chain with a carbon-reinforced belt drive. The belt drive doesn’t need grease, doesn’t rust, and is virtually maintenance-free. Even better, a belt drive means no more risk of a mess on your pant legs from the chain, and it weighs in at about half the weight of a traditional chain. With the Gates Carbon Drive™, you will enjoy a quiet and ultra-smooth riding experience on your EVELO. Our powerful mid-drive motor means that hills are no longer an obstacle when you ride. Locating the motor in the middle of the frame, closer to the bike’s center of gravity, ensures improved handling and safer riding. All EVELOs are equipped with both pedal-assist and throttle functionality. 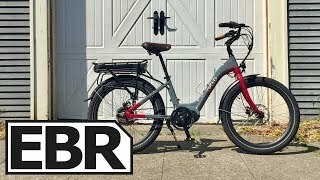 You can pedal as little or as much as you want, while the throttle lets you take a break from pedaling or can give you an extra boost up hills. Either way − pedal-assist or throttle − you are always in control. Free FedEx shipping anywhere in the continental U.S. Most in-stock orders arrive in 10 business days or less. If you don’t absolutely love your bike, we’ll issue a 100% refund or exchange it for another EVELO product. Purchasing an EVELO is even easier with financing options for 6 and 12 months (if you qualify). We stand by the quality of our products with a 4-year, 20,000-mile warranty that protects your investment. Your EVELO electric bicycle comes with a high-quality saddle. However, our customers are all unique and so are their needs and preferences. As such, we offer the industry’s first “Perfect Seat” Guarantee. If you find another seat that you prefer at a local shop, purchase it, and we will reimburse you up to $40! This is just one of the ways we strive to ensure that you are 100% comfortable and satisfied with your bike. Recommended for riders up to 350 lbs. Larger riders can be accommodated – contact us for details. We can ship your electric bike to your doorstep anywhere in the country. It arrives almost fully assembled (95%), so you can be riding in no time! If you have a technical issue at any time, the service process is quite simple. Just report the issue via our website or give us a call. We have customer service agents available 7 days a week and will respond within 24 hours.